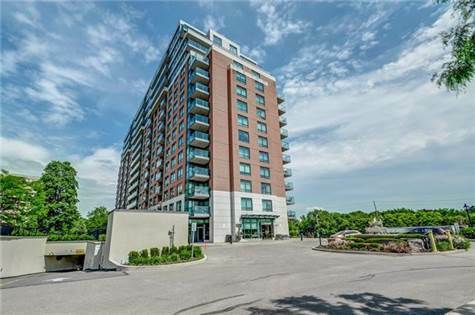 Gorgeous 2 Bed + Den, 2 Bath Unit In Desirable Royal York Grand. A fully renovated unit, beautiful custom kitchen with new S/S appliance, back-splash tiles new kitchen sink and faucets. Renovated bathrooms with new tiles, wall and sink cabinets. New engineering floor, baseboards, window blinds, custom-made shelves in all closets. Great Location Only Minutes To Royal York Station & All Major Hwys. Plenty Of Fantastic Building Amenities And Low Fees! S/S (stove, dishwasher, microwave, fridge), Washer, Dryer. Building Has Exercise Room, Pool Room, Meeting Room, Party Room And Guest Suite. 24 Hour Concierge.